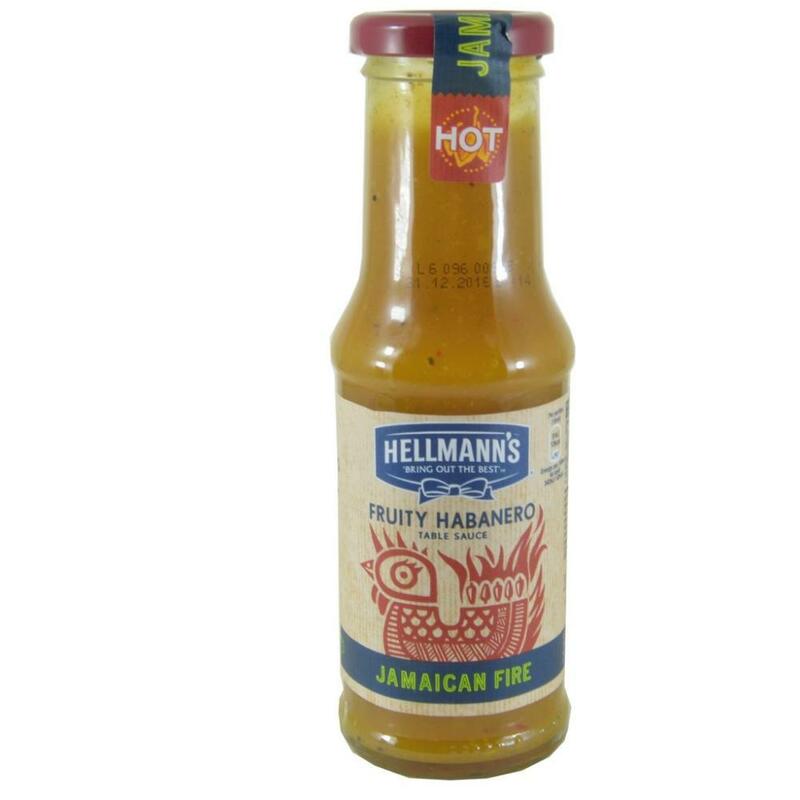 Hot Jamaican Fire Fruity Habanero Table Sauce Hellmann's have crafted a devilish combo of habanero chillies enhanced by the sweetness of the mango, to create an exotic heat with a fruity kick. Jamaican Style Fruit Habanero sauce is Hot. Crafted by our chef, International Hellmann's Chefs, Pack Size: 210ml, No / free from artificial flavours and colours, Suitable for vegetarians.